I have been formatting The Art of Encouragement into an e-book for publication on Smashwords (soon to be available). I wrote the book in 2002, but it still speaks to me today. In fact, I’m still working on applying the wisdom from its pages. When I write, I write more wisely than I know at the time I’m writing. As I look back on my work, I see that there was a sure thread of insight weaving through my work that anticipated my own spiritual growth. I also remember that when I was writing The Art of Encouragement, I was struggling with the limitations of dogma and doctrine, trying to find my way through the labyrinth of questions and changes and challenges to old belief systems. Funny, I think we are all going through this collectively now. The world I knew then is not the world I know now. The rules I was trying so hard to follow back then are now broken, discarded, or have morphed into something less legalistic and more about living from the heart. Struggling with my own doubts and fears, wrestling with the realities of another era, I am reminded again to stay true to my own vision, and to be kind and forgiving to others, knowing that we are all in the process of evolving to higher levels of consciousness and more expansive ideas of what the world is meant to be. Do not close yourself off from life because of fear. Do not build walls of expectations or dictate terms for who, what, how, and when the Universe will deliver. Expect miracles and see miracles, even in the simple, mundane round of life. Love each moment as it comes. Embrace it fully. Immerse yourself in this moment, this reality. Be aware. Be yourself. Be brave and dare to live from the very center of your being. When you have a choice between following your heart or following your head, always listen to your heart first. Know that you are not alone. The still, small voice speaks when you are willing to listen. You are surrounded by the love of the Universe; you are guided by God; you are ministered to by His angels, watched over by saints and ancestors. Embrace your life today. Live in the music and dance to the rhythm of love. Dare to live with your whole heart, every single day of your life. The only real security is not insurance or money or a job, not a house and furniture paid for, or a retirement fund, and never is it another person. It is the skill and humor and courage within, the ability to build your own fires and find your own peace. People generally think that it is the world, the environment, external relationships, which stand in one’s way, in the way of one’s good fortune. . . . and at the bottom is always man himself that stands in his own way. There is no going alone on a journey. Whether one explores strange lands or Main Street or one’s own backyard, always invisible traveling companions are close by: the giants and pygmies of memory, of belief, pulling you this way and that, not letting you see the world life-size but insisting that you measure it by their own height and weight. You are not living by human laws but by divine laws. Expect miracles and see them take place. Hold ever before you the thought of prosperity and abundance, and know that doing so sets in motion forces that will bring it into being. No one has ever seen God. Yet if we love one another God dwells in us, and his love is brought to perfection in us. It is not who you are or what you have been that God sees with His all-merciful eyes, but what you desire to be. O God, who hast prepared for those who love thee such good things as pass understanding: Pour into our hearts such love toward thee, that we, loving thee in all things and above all things, may obtain thy promises, which exceed all that we can desire. I met a wonderful musician a few months ago. He performed a stirring anthem, We Are One, and had us all singing along. Kevin Reid inspires people with his joyful enthusiasm, all-embracing love, and playful humor. As a songwriter and music producer, his songs reflect his experiential awareness of the deeper levels of being and becoming, while encouraging individual, national and global transformation to greater unity, love and understanding. The recording We Are One took nearly two years to complete The production involved 90 coast-to-coast recording sessions to include the voices and talents of a diverse group of over 200 professional artists and everyday people. It’s a global gift of love. Go to http://www.aworldanthem.org/index.html to hear the song and read the story behind its creation. A practitioner of spiritual mind healing is continually confronted with the fog of fear, superstition, and doubt; otherwise, there would be no occasion for his practice. He will either get lost in the fog, or see through it. Though the fog is there, the sun is always shining—this is what he clings to. Change. You do your best, but sometimes it's two steps forward, one step back. Stuff happens. Your tide of good fortune and perfect timing comes together and brings a flood of blessings. Or the dark clouds of financial distress or a health crisis or an unexpected loss come together in a deluge of discomfort and sadness. The recent floods in Nashville felt surreal to me. A major city half drowned in this historic thousand year flood, and yet the world hardly knew we existed, according to the national news media. So the story got missed in the national consciousness, but here in Middle Tennessee we saw stories of courage and heroism unfold, and continue to see an outpouring of compassion as we rebuild and repair and work to return to normal. Difficult conditions happened when the rain fell, but the sun came out again, and many hands are helping to restore and renew after the loss. Looking at difficult conditions to see the spiritual reality beneath is like trying to see the landscape in fog. The sun is still shining above the clouds even though you are surrounded by swirling mist and a sea of fog. I choose to see beyond the illusion that conditions are more powerful than the spiritual reality (and we all have wrestled with that, from doubts and fears to money issues to making our dreams come true). The fog is the condition of our weakness or challenge, the gift is seeing through the fog to the spiritual reality of our inner greatness and potential. Eventually the fog clears, the sunlight returns, and you can see that you made progress, one step at a time. So I have been choosing to see beyond the foggy conditions of my outer questioning, fear, and doubt to a shining inner reality that tells me the human spirit can triumph even in times of trouble and loss, and that the very conditions that once seemed to overwhelm became the catalyst for growth and freedom. That story is being played out here in Nashville, and I know that in coming years there will be many blessings that arise from the flood, blessings that we may not be able to imagine in a time so close to a time of loss. I have been inspired by the response of the people in this town and encouraged to keep on keeping on as I wrestle with my own changes and challenges. A difficult situation may be the catalyst for the kind of change that overcomes all limited and conventional thinking. Once you are out of the box, no one can put you back in. The very act of moving beyond old boundaries turns you into a larger, more expansive person. All adversity is a re-direction from God. When things fall apart, make art. Carry this spirit through to every area of your life. When you are up against a wall, be still and put down roots like a tree, until clarity comes from deeper sources to see over that wall. I have a deep and abiding conviction that there is a Presence and an eternal Truth that is everywhere, and that is here now with me in whatever conditions or circumstances I face. I know that every challenge is an opportunity for something greater to express itself in, through, and for me. 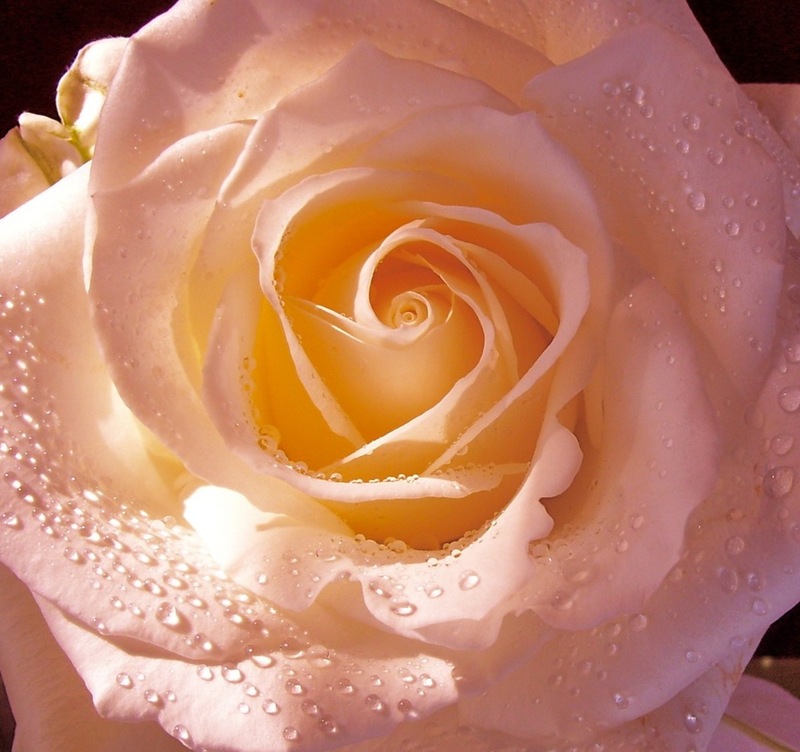 Some may call it a miracle, but I call it the Law of Life and Love, the presence and power of the Divine Intelligence working in my affairs to bring forth the highest good for all. All things are possible with God. I affirm that great good and amazing triumphs are now happening, taking me beyond my limited thinking into a greater realm of joyous expression. Thank you, God, that I know what to do and how to do it as I am led into greater good than I have ever known. And so it is. I’m working on updating and upgrading my website. I have also been busy getting more e-books published. The Art of Abundance is now available as an e-book at Smashwords, as is a new mini-e-book of a month of meditations on abundance, 31 Days of Abundance. I’m experimenting with new prices, offering a variety of products. I hope you will check them out, and if you like what I do, support me by buying something. 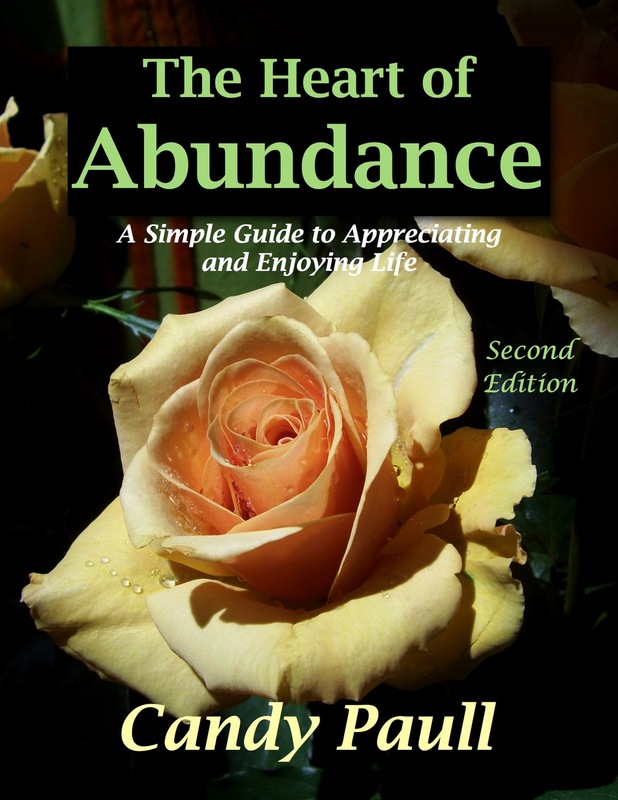 Meanwhile, over 600 people have downloaded my free e-book, The Heart of Abundance, since I published it in mid-March. I’m grateful that people are taking the time to read it, to email me that they have found encouragement in those pages. I’m thrilled to see the count go up every day, for it tells me that what I write fills a need.